It’s been a while since we mentioned the pisspoor (but lovely at heart) SA version of Big Issue magazine (it was October 2017). That’s because my life is a better place without the Big Issue in it. I see no need for the Antarctic Peninsula(? *) to be exploited. I’m actually with Greenpeace on this one [audience gasps]. 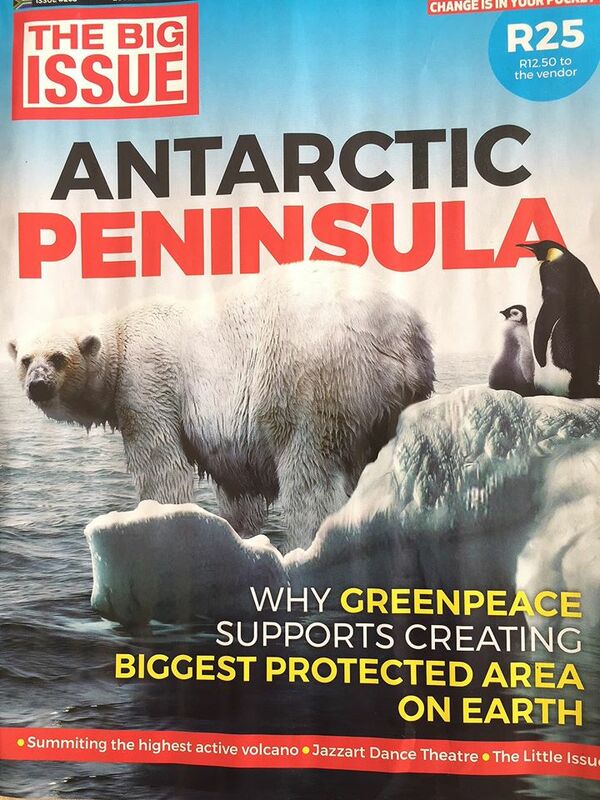 But despite this unusual alliance, I am still going to take exception with the Big Issue cover. Q. Why don’t Polar Bears eat Penguins? A. Because they can’t get the wrappers off. Or because one inhabits the Arctic and the other, the Antarctic. They are literally poles apart. And yet this incorrect and profoundly misleading cover is being shown to impressionable kids at traffic lights and road junctions all over South Africa. And then we wonder why the education system is broken here. It’s only a matter of time until the Bunny Huggers start using it as part of a misinformation campaign, telling us how OMG! you can’t find a Polar Bear anywhere in Antarctica anymore and how we must give them lots of money before the penguins disappear too. * is it really actually a peninsula though? Life is hard if you’re a penguin. If it’s not humans overfishing your pilchards and (allegedly) changing your climate, it’s large wild cats eating you on the beach. And if you survive them, you’ve got to look out for malaria and beagles. And whalers. Nope. Being a penguin ain’t easy. Now though, they face their latest, smallest but possibly biggest challenge yet. Viruses. Because yes, penguins are birds, and birds get Avian Flu. This is the same H5N8 strain that has been affecting the Western Cape (and beyond) for several months now. I mentioned it back in August here. 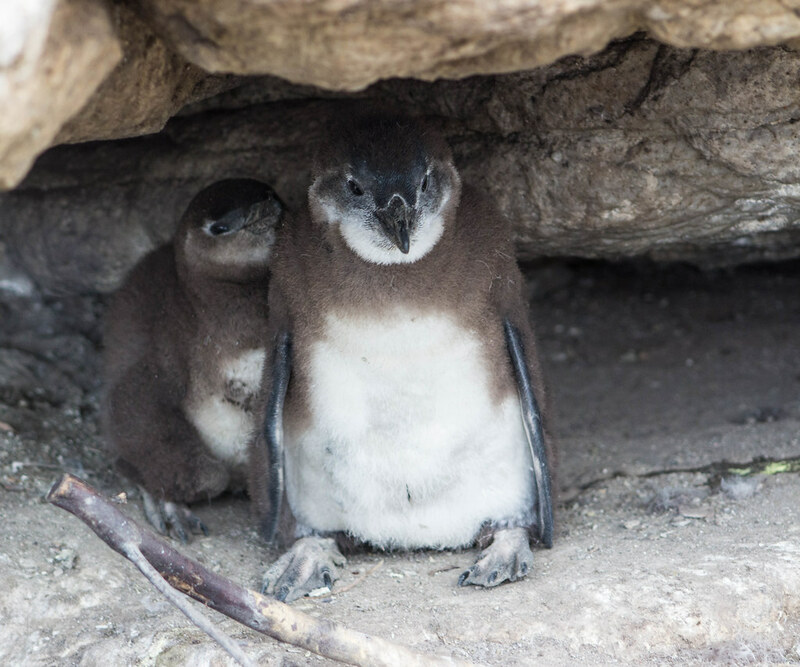 We think about it affecting farms (which of course it does), but no-one ever considers wild birds, which – in the Western Cape – include penguins. Visitors should change shoes and clothes if visiting poultry farms to prevent contamination from one site to another. Which is important because the chicken farms just outside Robertson have really upped their tourist game recently, and it would be sad to waste all their effort. Seriously though: fingers crossed that this doesn’t do a lot of lasting damage. We went to Hermanus with very few concrete plans. See a friend there, stay in a B&B there, and that was about it. I was skeptical that it was going to be a huge success, but obviously, as usual with these things, I was wrong. We had a great couple of days; busy, but fun. Some good family time. Beach visits, a market which had beer on sale, some flamingo stalking, a spot (or two) of fun with the Mavic, a walk in the nature reserve, some decent food (some not so decent food) and then an impromptu stop at Betty’s Bay on the way home. … where the penguins and dassies and cormorants were all only too pleased to pose for the camera, and where the foreign tourists (German and Spanish) refused to spend R20 (£1.16, €1.31, $1.49) to see the all the chicks, because there were two just before the hut where you had to cough up your admission fee. The admission fee that goes towards looking after the penguins and preserving their future. Sometimes foreign tourists can be tight bastards. All they seemed to want to do was stand around near their tour bus and smoke cigarettes (and guess where the fag butts went, fewer than 24 hours on from this?). Most of the tourists we see in the Cape are having a great time and are amazed by what they see. These ones, not so much. Anyway, photos here. Not of the foreign tourists, obviously. Ugh. I have not one, not even two, but THREE dead penguin stories for you today. First off: Penguins killed by Penguin Malaria. Yes, sad news, but avian malaria – causal agent Plasmodium relictum, and spread by mosquitoes like other malarias – is actually fairly common around the world, even in the UK. 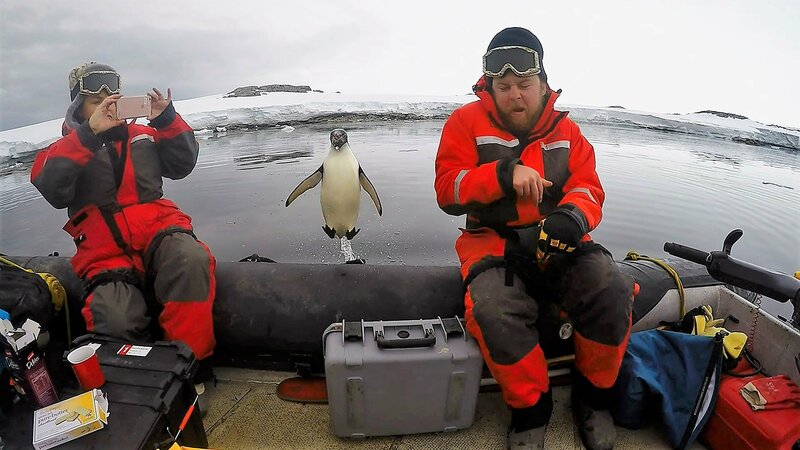 Ironically, the only place that birds are safe from avian malaria is Antarctica, famous as being the big cold bit down at the bottom of the world, and frequented by… er… penguins. At the last count, Longleat had lost 25 of its 34 Humboldt penguins (Spheniscus humboldti). Let’s hope their efforts to save the remaining 9 are successful. 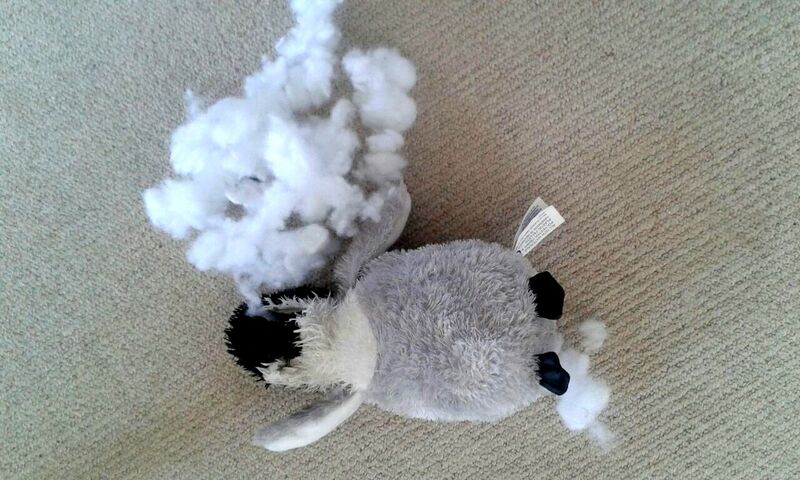 Secondly: Penguins killed by Caracal (Caracal caracal). Yes, sad news, but… hang on… haven’t we done this one before? A spate of penguin fatalities has occurred in Simon’s Town over the past two weeks. The City has identified the predator by installing trap cameras in the area. The images confirmed the presence of a large caracal. But that was in July, and that caracal was captured and relocated (we told you about that bit, too). But Disa (for it was she what was eating all of the penguins) was radio-collared before her relocation, and this time around, it’s not her. Because when one caracal is moved, another will happily take its territory. Especially when that territory features large numbers of lovely plump penguins. The City of Cape Town urges residents and tourists to support and assist efforts to capture a caracal which is currently preying on endangered African penguins in the Links Crescent and Froggy Pond areas of Simon’s Town. Disa was quickly captured and successfully relocated, but as we now see, that did little to help the penguins. Assuming that the authorities can work their magic with this new caracal equally quickly – and that things follow the same pattern – I’m hopeful that we can report on more penguin predation before Christmas. And then there was: Penguin killed by Beagle. The beagle was found upstairs (the beagle is not allowed upstairs), chewing this penguin chick from our daughter’s bed (the beagle is not allowed to chew the kids’ toys). Essentially, that white cloudy stuff you can see there is spilled penguin brains, and I now have the difficult task of performing some sort of surgery on this juvenile Emperor Penguin (Aptenodytes forsteri) before my juvenile daughter (Homo sapiens) sees it. Any retribution on the beagle – while satisfying – would sadly be logically pointless as dogs (Canis lupus familiaris) are pretty stupid and can’t associate punishment with the actual crime unless they are actually caught in the act. Either that or they’ve just made us humans think that’s how things work, in which case, they’re actually pretty clever. And devious. And destructive. And oh, why, oh why did we have to get a beagle?